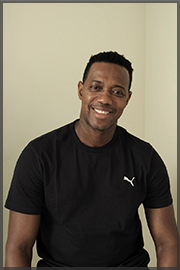 Soul Wellness consists of Saul Sowe and his team of fitness and health professionals with expertise in the fields of personal training, massage, acupuncture, and reflexology. We provide our services to both private and corporate clients in Norway. Saul Sowe has more than 25 years of experience in the Norwegian fitness and wellbeing industry, and has worked with some of Norway’s largest companies. A healthy mind in a healthy body is what we call a healthy person. And that’s what we work for - the wellness of your soul.